Sales and losses are easy for businesses to measure because there are numbers to analyse and compare year to year. Improvements or declining satisfaction in customer service can be far more difficult to measure but are equally as important to the long term success of any business. How many complaints do you usually receive a day? What about other business like you? How many Promoters, Passives, and Detractors do you get each day? Whether this is a good or bad reflection of how you are approaching customer service depends entirely on the context. Benchmarking is the key to understanding that. Sometimes the best business to compare yourself to is you. It’s like training for running a marathon – it’s nice to know what the world record is, however it’s unlikely to be a benchmark you can use. Knowing if you’re getting faster and learning from others who are better than you is often the best way to improve. The way your customers feel after interacting with your brand or product is very personal and difficult to predict. While your financial reports will be able to provide figures that accurately reflect the state of your past business, customer experience is an intangible interaction that can act as a predictor of future growth, repeat purchase, and advocacy. Ultimately this means most businesses don’t benchmark how they handle their customers or some even completely overlook the importance of how your customer feels about your business. Every experience is unique to each customer so understanding how to measure the success of your approach requires a deeper interaction between you and your customer. Ensuring your business has great support platforms in place where customers can express their opinion is the best way of creating tangible data to compare. You need immediate, validated feedback constantly flowing in across all channels that you can respond to and record for comparison. Having a feedback measurement in place such as the Net Promoter Score is a great way of establishing some clear validated feedback with tangible results. This is basically an index ranging from -100 to 100 measuring your customers’ willingness to recommend your product or services to others. Collecting feedback in a variety of different forms is the best way of figuring out what your customers are thinking. Could you incorporate feedback into your app; do you need to ask for feedback via email after each purchase; could you ask for feedback in exchange for free WiFi; or are till receipts the only option for you to connect with your customers? It all depends on your business. Social media platforms can also offer ways of interacting with your customers in real time. Environmentally friendly shoe company Rothy’s will often use the poll feature in their Instagram stories, so customers can vote on the styles they prefer. Having that tangible evidence of satisfaction or dissatisfaction is the first step in understanding how to improve your customer service approach. The feedback you collect is useful to improving your customer experience processes and made even more relevant through benchmarking. While the fact that Sally from Sydney had a great experience with your brand is important, it becomes even more useful information when you see that Sally from Sydney had a terrible experience with your brand last time, or that the majority of women from Sydney haven’t enjoyed their experiences with your brand previously. It’s by benchmarking this data that your business will be able to turn feedback into actionable information that drives customer centric change within your organisation. Make your business benchmarks visible to your team so you can all track progress against them. This can help foster a culture in your business for constant improvement and development with your customer’s needs at heart. Sales and customer satisfaction go hand in hand and sales data can link directly to the feedback you receive from customers. Integrating benchmarks across all departments is a great way of keeping your team in the loop so they know where your business is at, at any given time. Customer experience has a huge impact on the reputation of a business and having some concrete targets in place will encourage growth across all levels of an organisation. Consider how having a clear and tangible measure of customer satisfaction will inspire you to improve your approach to customer care. We’ve even seen businesses calling on industry bodies to start measuring customer experience across the board. 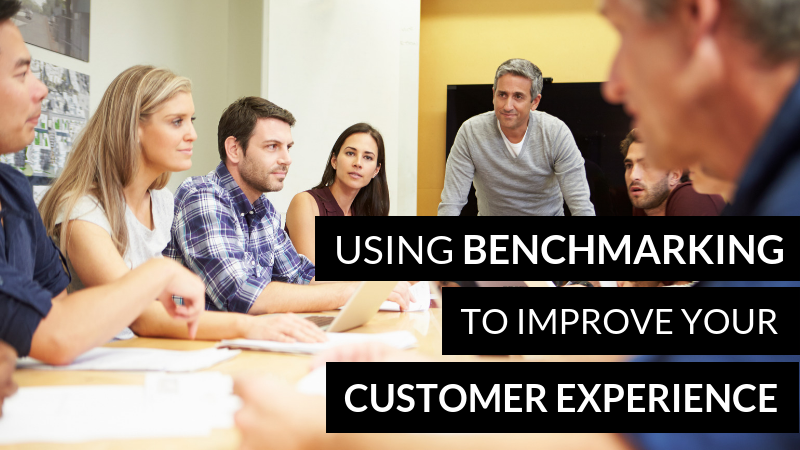 While these businesses understand that measuring their own customer experience gives them a competitive advantage, they also realise that the industry as whole could benefit from benchmarking. If their entire industry were utilising benchmarking to challenge themselves to improve, this would improve the standards of the entire industry and create a greater customer base for all to ultimately grow. It would be amazing to see more businesses investing in customer experience benchmarking so they are in a better position for understanding what their customers truly want. 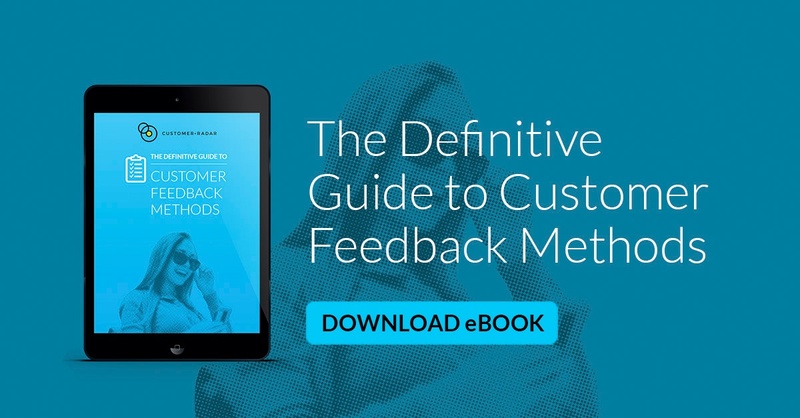 To find out more about how you could utilise feedback and data in your business, download our free ebook ‘The Definitive Guide to Customer Feedback’.